If you would like to sponsor at any of the open levels below, please contact Susie Carson at scarson@olathe.org or at 913-764-1050. Exclusive Benefit: company logo on 30 dry tech tshirts and prominent sponsor for the Packet Pick-Up. Includes company logo on all signage at the event and prominent booth placement at the Expo. Located at the Ball Conference Center.  Company logo on email blasts to all participants. Complimentary booth to exhibit products and services. 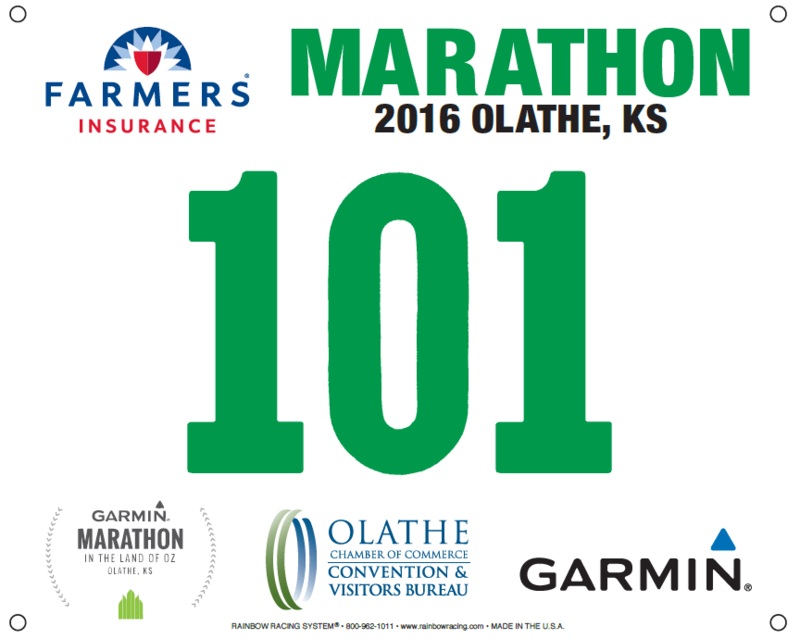 Company logo on Garmin Marathon Web site page that receives more than 16,000 views. Company logo in race that gets handed out to all participants at expo. PA announcements throughout the race. 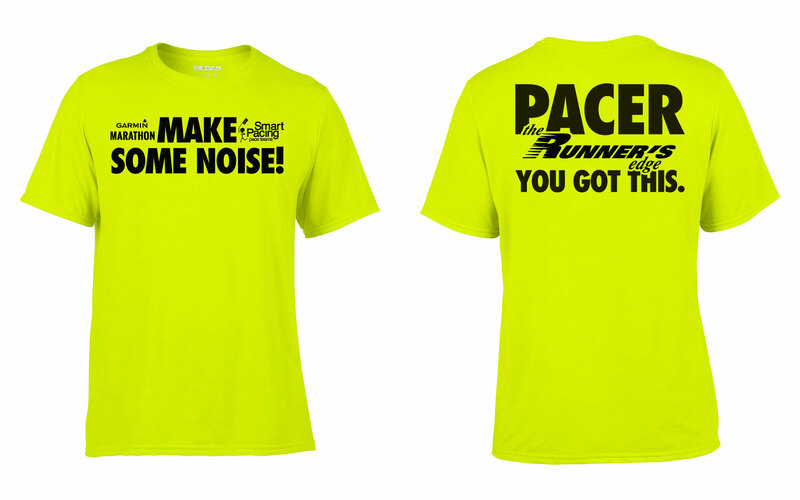 Visibility in Virtual Race Packet sent to all participants prior to the event. 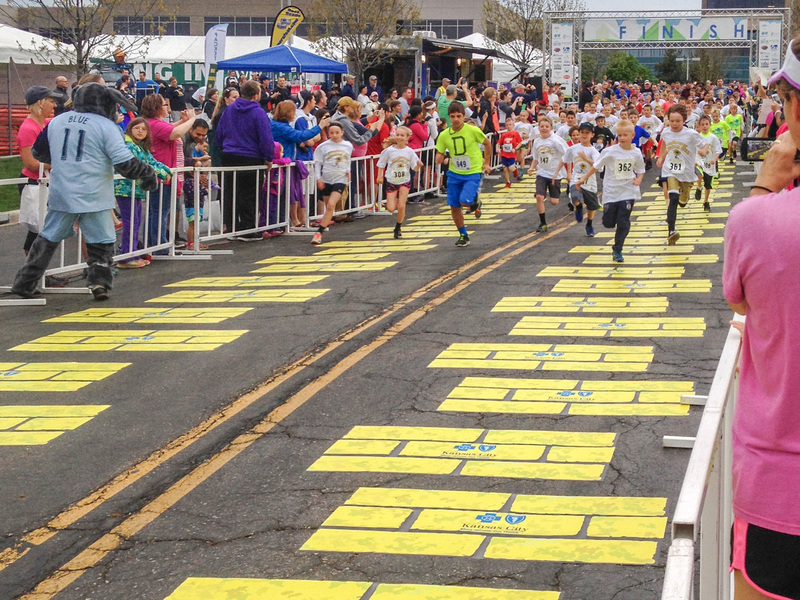 Exclusive Benefit: company logo on yellow brick road that leads up to the finish line. Civic involvement and event support. Company logo in race book that gets handed out to all participants at expo. Visibility in Virtual Race Bag sent to all participants prior to the event. 1,500 wristbands that runners wear on race day. SEE EXAMPLE from 2015. Company logo on Garmin Marathon Web site page which receives 16,000 views. 10,000 photos pasted online with logo and name on border. Exclusive Benefit: company logo on front page of race book. Race Book is available to download by anyone who visits the website and a link will be sent out to all participants. Race Book is sent by email to all 3,000+ participants prior to the race. Printed copies of the book will be available during Packet Pick up. Exclusive Benefit: Company logo on Mobile App software downloaded by more than 3,000+ runners and spectators. Exclusive Benefit: Company booth at packet pick up. Anticipated 3,000+ participants & 1,000 spectators. Pass out samples/ brochures to participants. Opportunity to sell products to attendees. Exclusive Benefit: Company name attached and logo listed at the top of the Virtual Race Bag. Virtual Race bag will be sent out to over 3,000 runners. 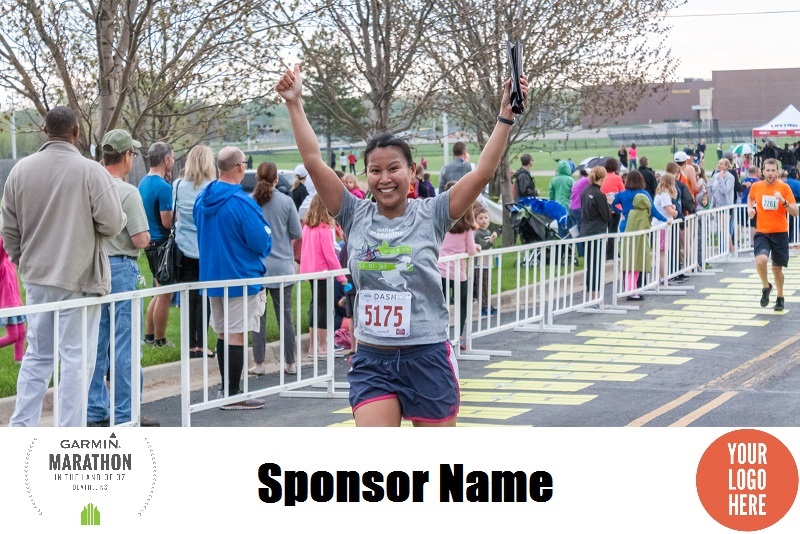 Email communications will list your company name as the presenting sponsor of the Virtual Race bag. Company logo and special offer displayed on email sent prior to the event to all participants. Link to company Web site or PDF of your special offer. The Family was originally created just for children and was named the Munchkin Marathon to promote health and fitness in children. The Family Run is structured to allow children kindergarten through sixth grade and their families to complete a full 26.2 mile marathon at a pace that is fun and safe, one mile at a time. Your sponsorship allows no cost to participate for these children and for each child to receive a t-shirt, finishers medal and goodie bag. Company name attached to the event. Company logo on marketing materials distributed to schools to promote the event. Company logo on t-shirts for the kids. Marketing piece inserted into all goodie bags. Opportunity to have staff/volunteers interact during packet pick up with all participants. Company tent and branding used for packet pick up. Company logo on tshirts for the kids. Please email Susie Carson at scarson@olathe.org to request Sponsor pricing or for more information.